A study from Victoria Uni has found that mothers and fathers are equally likely to murder their children. A new finding that suggests mothers and fathers are equally likely to kill their children, is a blinding reminder that the Governments gender-based response to family violence is fundamentally flawed and potentially costing lives. A study from Victoria University has found that mothers and fathers are equally likely to kill their children. “The gendered approach to family violence from the Government, assumes that only men commit family violence and that only women and children are victims. Despite evidence to the contrary, Labour refuses to let go of their ideological dogmatism,” says United Future family spokesperson, Judy Turner. Professor David Fergusson concluded that indicators such as upbringing and social environment and family dysfunction are better predictors of perpetrators of family violence than solely looking at Gender. “The intro to the Taskforce for Action on Violence Within Families campaign says that ‘We need to condemn violence whenever and wherever it occurs.” I agree; so I question why our policy to combat family violence is to ignore violence done by half the population? 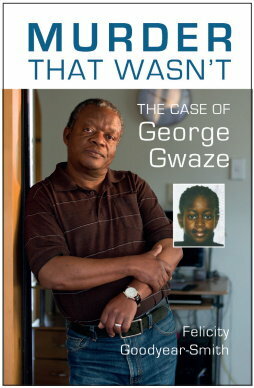 “The Government should start listening to the evidence rather than theory. Our children and families are the ones that suffer the consequences of a Government wearing ideological blinkers,” says Mrs Turner. Do you think this “No Smacking Bill” is over? Don’t be niave. This new wording is pathetic. Every lawyer is talking about this. Parents are still screwed. The groups that backed this will make it “Media attention” with their funding from the Government. The feminists must go. There is no other way. Times are changing. Yes. But even the smart socialists see they will not win. You cannot change nature. I, who is just a nobody (although I am starting to see I am a somebody) is challenging the old school feminists because they are a click group. I am giving power to the old school feminists that couldn’t raise their boys how feminists say they should be raised. How they deserve some credit for allowing their boys to be, not a made male but what they are. But then they had no choice because boys will be boys. However, they were put down for this. Their boys were mean’t to be boys. Too many women got it wrong and those that think they have made it right will reap the rewards they deserve. Their boys will be taken advantage of. They will suffer. You can’t go against nature. That is life. You sat back. Why I do not know. But then I have only started to learn politics. But then I would not have stood back. You are to me cashing in on what is coming. I don’t know whether it is too late for you or not. But why did you not speak up? How can you ask for the support of the people now? Do you not know that the people have the Republic Party who are asking for the most sensible thing. Republic is far better than Democracy. Why didn’t you stand to teach us that? And what about the Destiny Party? I am upset that they took all the glory for the “No smacking Bill” because I think Family First did way more than them but at least they care and speak up. Why are you only now speaking up? Yes, it has taken bloody ages for United Future to speak up declaring that violence in the home is something perpetrated equally by women too. As for Labour it’s inconcievable that they haven’t known for a long time of Professor David Furgusson’s longitudinal studies showing this. The man is well known throughout NZ academia and Clarke is renowned for thoroughly doing her homework on a braod range of social issues. Likewise Maharay and all those at the so called ministry of social development have known about Professor Furgusson’s study for many years. Yet this political goon squad has unrelentingly for years been espousing the feminist mantra that violence is done by men and victimises women and children. They have cynically done the math and figured there’s not many votes in challenging the largest cohort in NZ – women. They have and continue to be poring millions into demonising men as the only perpetrators of domestic violence. The expense to the country in terms of mental health and loss of productivity is incalculable, but certainly huge. All those anguished men. All those needlessly angry women. All those torn apart kids. It’s ugly, brutally expoitative politics at it’s cynical darkest. They’ve effectively hidden women’s violence becuase it doesn’t fit their feminist dogma. That to my mind is more than lack of political courage – it is a national scandal, indeed a form of violence in itself. Thank you for your letter addressed to John Key dated 18 April 2007. The central point of Mr Key’s speech to the Salvation Army Conference was that New Zealand does by any measurement have an issue with violence including that against women and children. Mr Key was making the point that men have a responsibility to face up to this situation. I read with interest the specifics of your email and the studies you quoted in support of your argument. With respect they do not undermine the specific point that Mr Key was making in his speech. It seems to me that the “specific point” that John Key was making, like many other MPs, is that the focus should only be on violence perpetrated by men, and that men must take responsibility for ALL domestic violence. Thank you very much for your response. However, I beleive the point I was trying to make has been missed. That is; regardless of the evidence provided, the governement, political parties, social agencies and Courts heap the responsibilty of domestic violence on men, when half of all domestic violence is perpetrated by women, and most of the violence against children is perpetrated by mothers. 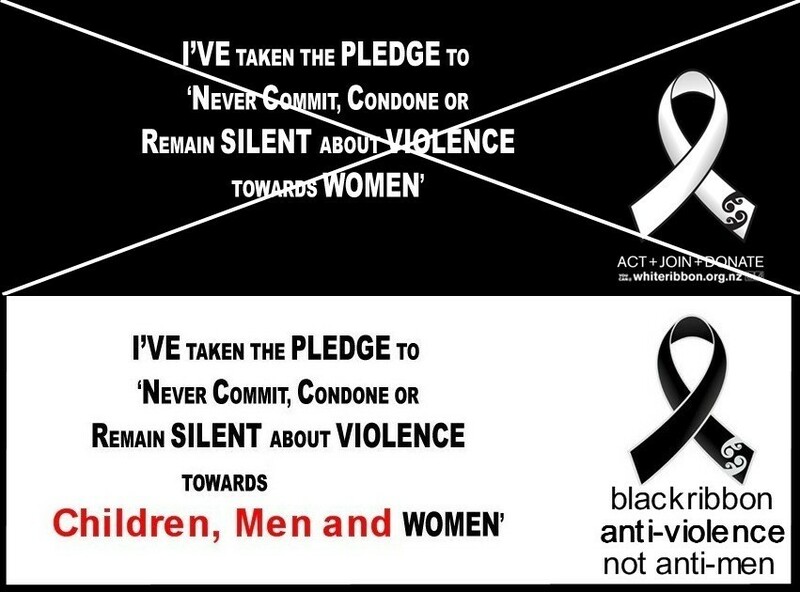 Yet speaches, legislation and publicity campaigns (White Ribbon) seem to ignore all domestic violence except that which is perpetrated by men. The male gender is being persecuted because of a campaign of misinformation, causing deep rooted social problems, epecially by undermining our boys confidence and ability to achieve a good level of education and live happy and succesful lives. Could you please add the report below to those studies that I presented earlier. With respect Stephen, this is not the first time that United Future’s Judy Turner has spoken up that Domestic violence is perpetrated by both sexes. However it doesn’t get much attention as it is not a popular issue with the media. …”New Zealand’s two major research studies on the topic, the Christchurch Health and Development Study and the Dunedin Longitudinal Study, both conclude that the most common scenario of partner violence is when both partners lash out at each other. I quick check of answers to parliamentary questions will show Mrs Turner challenging MSD on the same issue. Julie – So you critise parties who say nothing on the issue, and then critise the one MP in the current lot, who has taken an interest in the problems of men in this country and spoken out, accusing them of “cashing in”? Mrs Turner became concerned in this area after meeting with good people like Mr Wayne Pruden, Stuart Birks etc. You will know it is not popular in this country to speak up and say that women are not always the victims of violence, but perpetrators too. Personally, I do not understand why you would critise someone who is backing your cause. If MPs who speak out get critised on both sides (mens lobby and womens groups), why on earth would they continue to speak? Turner got to press saying women too commit deomestic violence in 2006. Only about 20 years after the man in the street! Still, better late than never I suppose. And definitely better than not at all like our socialist-feminist has beens. Personally, I do not understand why you would critise someone who is backing your cause. UF political reality check, maybe you think that Judy is “backing (y)our cause” but those whos cause it is may not think the same. Your party has made political choices to support Labour and what you are seeing is those choices comming back to roost in the comments. Those you are “consulting” are not the representatives you need to engage. I think i may have been misunderstood in what i was trying to say. 2. My comment was referring to the issue that the release spoke of – family violence. 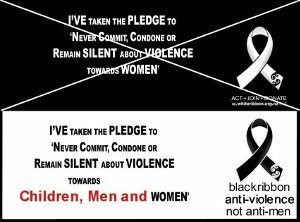 When i mentioned backing cause, i did not mean the entire movement – i specifically meant the issue of womens violence being ignored, an issue that is mentioned often by concerned men. I was not for a second suggesting anyone should support the party, or that Mrs Turner was backing a movement. Simply that if you agree with the comments made, it would be helpful to support the comments on the issue. You can support the position of someone on an issue without endorsing the person or party – for instance conservative christian groups and the trade unions are working together to oppose the easter trading Bills. I will not be posting any more personal comments in this forum. I appreciate Judy Turner speaking up and I appreciate you taking an interest in this site and i know it was neat that she met with Wayne in Wellington. That was a really long walk and at least someone understood that. In no way do I want to see that change because this is bigger than you and I.
I appreciate Judy Turner for speaking up about CYFS and I appreciate her speaking up for a men’s commission. She may just be the key for the Human’s Rights Commission to get men’s issues into action and the family’s Commission is something that might also help. I don’t think for one minute that politics would be an easy career to choose nor do I understand how it really works. So I am not in a position to expect the world from you. I just don’t understand why we are dealing with all these problems today and why they weren’t dealt with before. It is frustrating to listen to the reasoning behind tackling women’s domestic problems as victims, first and foremost. And especially when you know that most prominent groups know they will never get it to zero and that really the DV industry si just an ever expanding money grabbing machine. it is frunstrating to see Judge Boshier backing the DV industry because the divorce cases are not entering court as they once were. Oh my God, he has to keep him and his mates in work and he has to keep the FC in business so he needs to promote more DV and all at the cost of men’s lives (suicide) and well being. By ‘Batman’, I mean John Keys, opposition National Party leader. That’s his nickname, now. Him and “Robin” being Bill English the deputy leader of the National Party. I hear they made a statue of the both of them as Batman and Robin in a pub or club in Wellington.